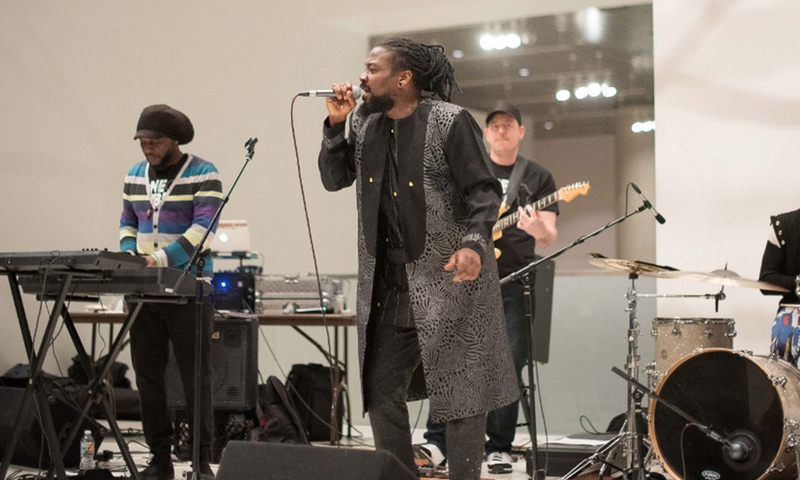 Ghanaian Reggae/Dancehall Afro Singjay, Samini, in the past week rallied an audience of over 700 people at the USA album launch for “UNTAMED”. The event was held in the Seattle Arts Centre in partnership with Simon Okelo of One Vibe Africa, organizers of Madaraka Festival, a yearly music and arts festival in Seattle, Washington, USA. The night saw a launch of Samini’s “UNTAMED” Album CD with a new set of merchandise after which he delivered a live band performance at a separate concert held at the same venue dubbed, Kijiji Night. The Reggae genre trailblazer in Ghana serenaded audience to songs from his album and sold hard copies too. Samini’s initial launch for the album in Ghana was in December 2018, at a press and industry sitting before the main release on his birthday on December 22, 2018. Samini is tipped to embark on a global tour with the album soon. This follows early successes recorded by the album in January 2019. “Untamed”, his 7th studio album entered Billboard.com’s “Top 10 Reggae Albums” on January 1. He also won “Album Of The Year” on Reggaeville, Europe’s biggest Reggae/Dancehall Network, making Samini the first African Musician to win that category for the first time in 7 years the award was instituted. B4Bonah & Zodivc shuts down the music industry with Prono St.